Arriving at sunrise I spent about 4 hours in Richmond Park. The low light was glorious even though frost still lay in the hollows and I was able to capture these 9 frames with XH1= 16-55mm f2.8 and XT2 + 100-400mm. 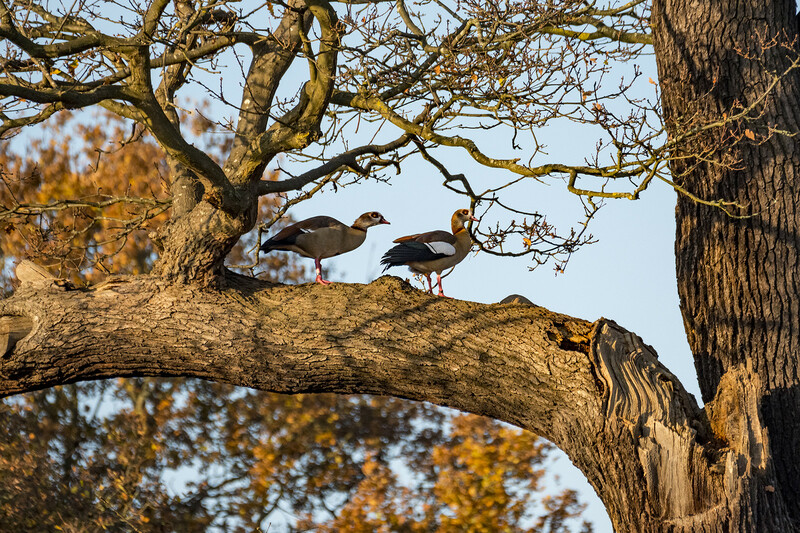 Egyptian Geese are quite fond of roosting in trees.